I recently attended a tasting of about 45 wines at a local wine shop. With my focus being on Italian wine I wanted to share with you my favorite Italian wine from the event, which was the 2012 Cantina Bolzano Pinot Grigio. Bolzano is located in the southern Tyrol region, known also as Suditrol in German or as Alto Adige in Italian. As I've discussed in my previous blog on Alto Adige, this is a region that speaks both German and Italian, so you often find both languages on their bottles. If you love the Trentino-Alto Adige region you'll love our recent Italian bloggers group event online featuring the food, wine and travel of this region. Cantina Bolzano went through a merger between two cooperatives: Gries, which had been making wine since 1908, and Saint Magdalena, making wine since 1930. 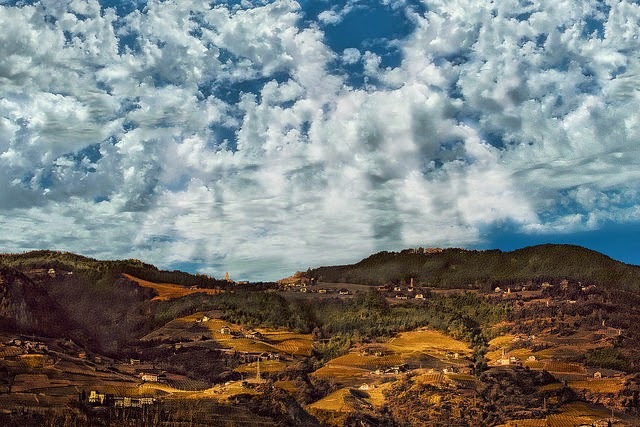 They joined forces as the Cantina Bolzano in 2001 keeping both wineries at two different locations and allowing them to become one of the top wineries of the region. The two locations combined equal about 790 acres (320 hectacres). They are partnered with about 200 grape growers that they work closely with that allow them to produce quality wines. With this conglomeration they are able to showcase the grapes that grow best in their terroir with Gries focusing on Lagrein wine and St. Magdalenda producing the wine St. Magdalenda made from the Vernatsch grape. 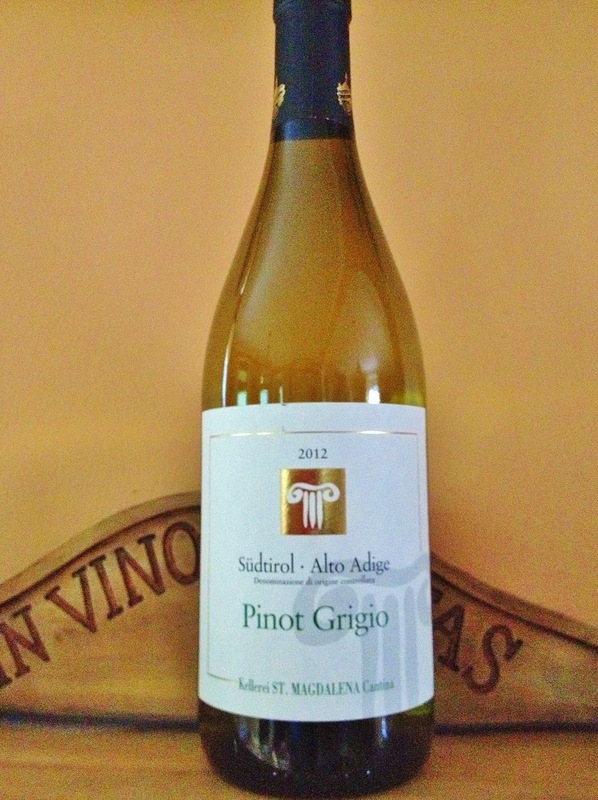 This Pinot Grigio comes from the high elevations around Bolzano. On the nose the aromatics showed hints of honey and on the palate there is some citrus and apple followed by bright acidity. It's perfect this time of year with a nice salad or seafood dish. Average price $15. What wines have you sampled from this region?